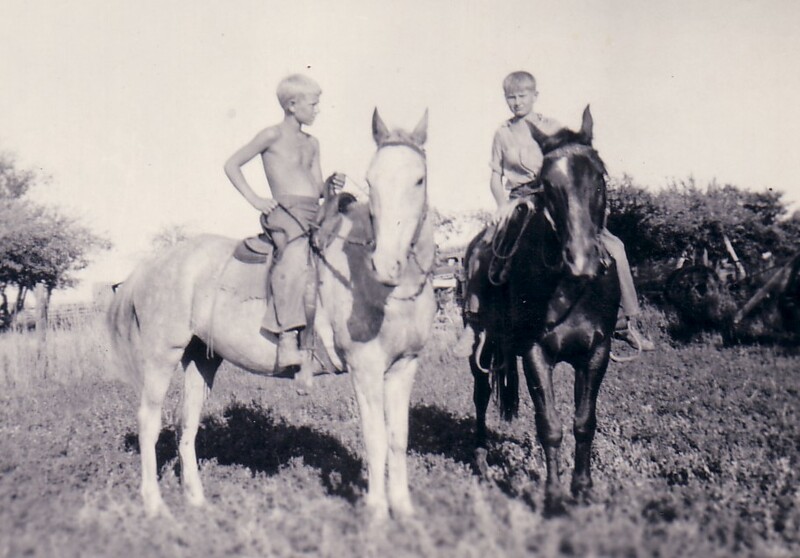 Danielson boys got around on horseback. Oscar Danielson found out that making ends meet on his Lower Crab Creek homestead wasn’t the easiest thing to do. From the beginning, Oscar kept meticulous notes about his finances, even before leaving Renton to build his farm. His ledger is filled with minutia, and in addition to mundane expenditures for a growing family, the way the entries are written record Oscar’s assimilation into his new country. In the beginning his notations are mostly in Swedish, but over the course of several years, Oscar adopts more and more English phrases for his entries. Perhaps he had to share the book with a banker who didn’t understand Swedish! Out of the blue, a distant relative, who happens to be a neighbor of mine, provided another image of life on the homestead in Glenwood, Washington. It came in the form of a picture postcard with a message scrawled on it, mailed to my great uncle Robert Kuhnhausen in 1909. The image shows workers in a field of hay, raking the cut grass into mounds amongst the stumps of the former forest. 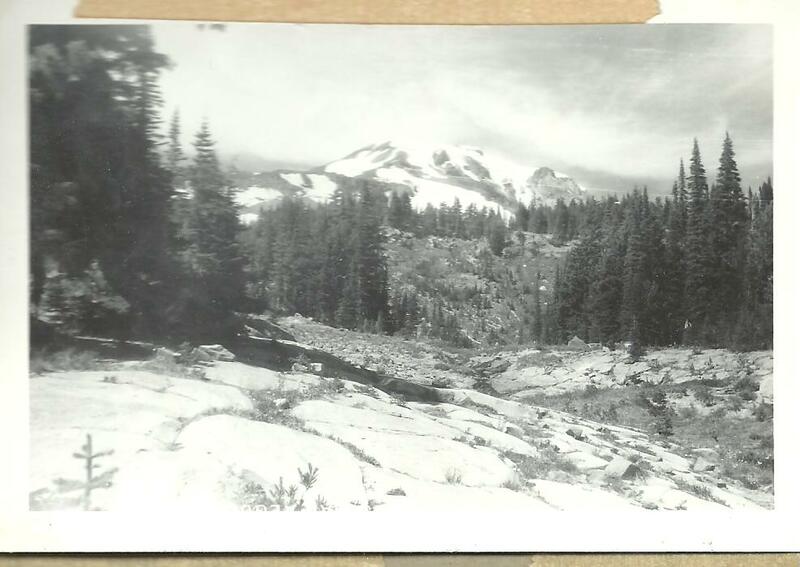 In the background Mount Adams looms, ever present in the Glenwood valley.It wasn’t until I had scanned the image that I was able to inspect the figures in the field. In the foreground is an obviously female worker, clad in overalls and a white cap. Since the card was sent to Robert, the eldest in the family, and the handwritten inscription declares this to be the Her[man] Kuhnhausen Farm, I inspected this person carefully. I am firmly convinced that this is Rosa Kuhnhausen, my great aunt, and the great-great-grandmother of the relative who gave me the photograph. Rosa led a full life, and by that I mean a long and painful one, but she carried with her a practical philosophy that has inspired me through the recent painful adversity in my own family’s life. She died when she was 106 years old, three months after meeting my daughter who was named after her. My daughter died at age 10, two years ago. 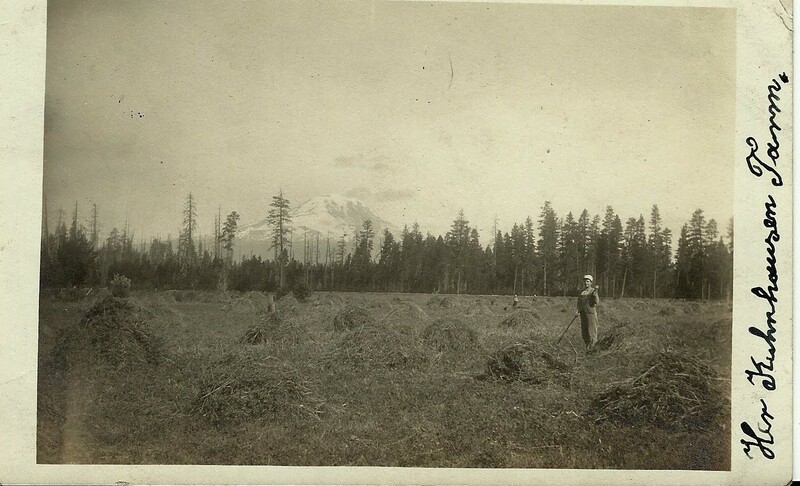 Making hay in the Glenwood Valley of Washington State in 1909. Mount Adams fills the skyline to the west. 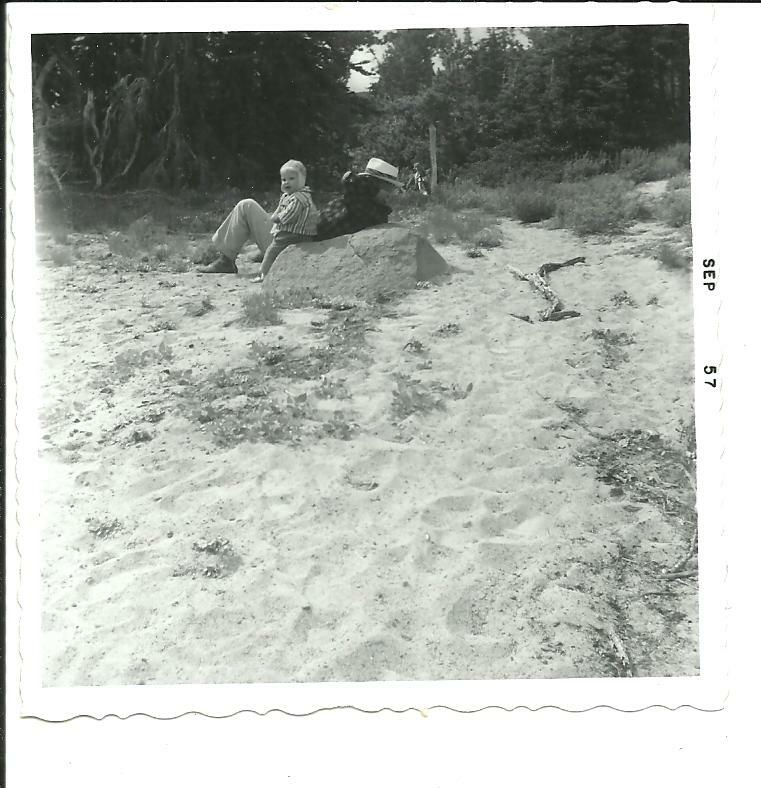 The worker in front appears to be Rosa Kuhnhausen.